Tombow markers and water. That’s it! A nice, quick wind-down after a long day. I really like these colors. They are festive. I’m so glad you like it. The whole set is probably my favorite colors but I really like blues and greens. When I start doing art quilts, you’ll see lots of blues and greens. I’ve amassed quite a collection of those fabrics. Aww thank you, Teresa! You’re so kind. Now that I look at it on my laptop instead of my iPhone with blurry eyes this morning, I see the storm – and I LOVE IT! Your posts add so much to each day. Thank you for sharing your amazing talent. Not sure about you, but I’ll be even happier to see the fall arrive. This reminds me of Monet. Beautiful color mix. Thank you so much! I love these colors too. 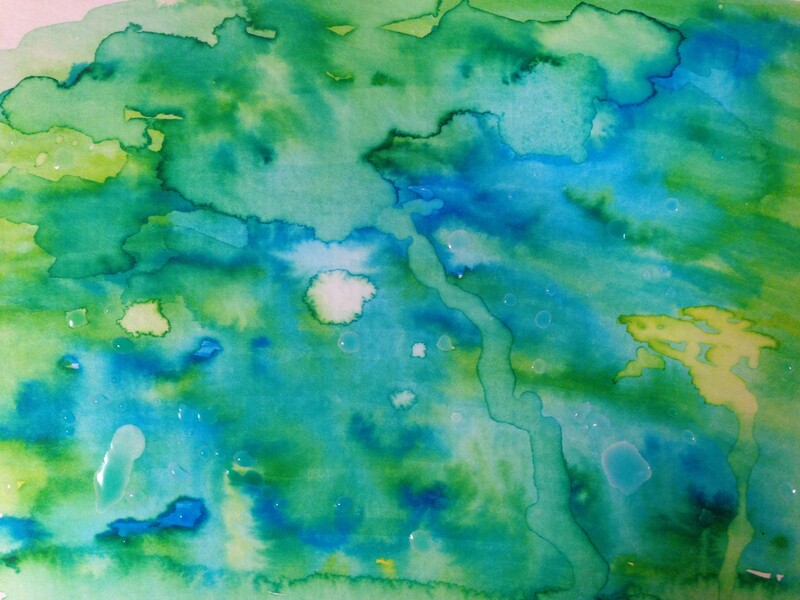 The colours are wonderful – I love the blues and greens together. The watercolour effect is lovely and only using markers too – amazing! Thanks! I’m amazed at how effortless these markers and the drip technique make it to create something simple and beautiful. I would never have thought markers created this. Goes to show how important technique can be. For me, I think using watercolor paint would make this much more difficult. But maybe I just need to learn the right technique? Thanks again for your comment.